Newt Gingrich: Trump's "Isolated" Presidency Is At Risk - Joe.My.God. 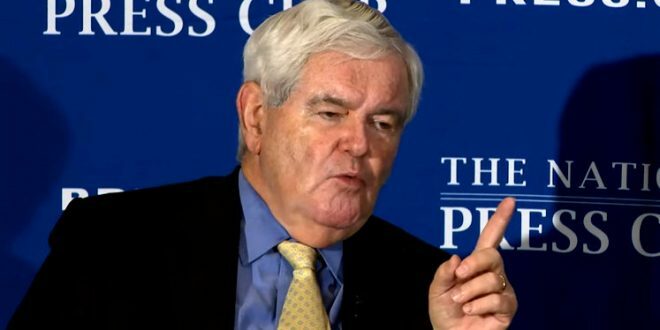 Former Speaker Newt Gingrich said President Trump needs to make “serious changes” if he wants to have a stable presidency. The Trump ally said in a Fox News interview with Bill Hemmer Friday that Trump has taken a “good first step” in bringing in John Kelly as chief of staff, but that other changes are necessary. “You don’t get down to 35 percent approval and have people in your own party shooting at you and conclude that everything’s going fine,” he said. “I think he’s in a position right now where he’s much more isolated than he realizes,” Gingrich said.